It has become important for organizations of all types and domains to hire the very best candidates to fill up the different profiles lying vacant with them. A better way to gauge the performance level of a candidate is by carrying out web based aptitude tests. It is termed to be a common tool used by organizations, both small and big as pre-employment requirement. This is achieved by placing together structure of tests to evaluate different areas like linguistic capacity, problem solving and logic. Depending upon the position the candidate is applying for, this type of testing methods can be industry specific or generalized. For example, test items can be carried out for IT positions to evaluate individual knowledge pertaining to computer programming and related skills. Does the test offer necessary results? One of the main reasons for majority of the employees to leave their jobs is job mismatch and this is an issue faced by organizations across the globe. The newly selected employee appointed on the job serves just for few weeks or couple of months and finds out this is not the right profile for him. He simply quits the job to look for another that will be just perfect for his growth. This is indeed waste of time, money and energy for the organization. For any organization, time is money, and all training activities that are imparted during this time to the candidates will go completely wasted. 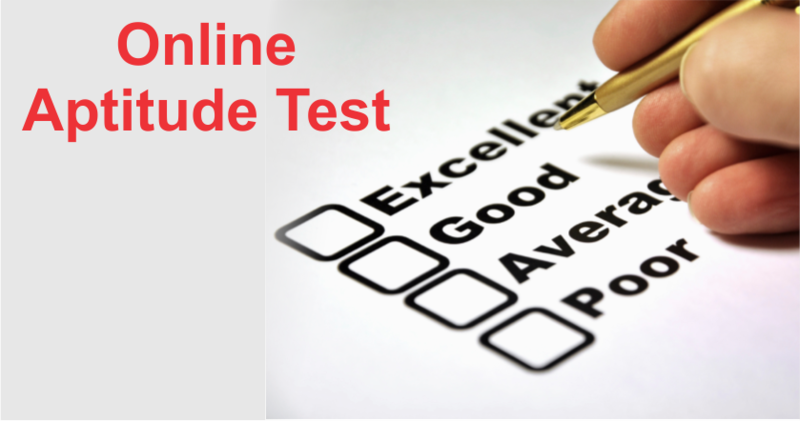 There are numerous web based aptitude tests that are available for free or for a small amount. When used properly to suit the particular profile and industry that the candidate is applying for, it can prove to be more than beneficial for both the employer and employees. Working style, personal goals, interpersonal skills and preferences are part of the evaluation process. For deriving accurate test result and profile, all answers given by the candidate to the questions in the tests are to be honest. The answers should be given without much thought or manipulation, but be straightforward. Rather, it should show what the person actually practices in life. With honest answers, the recruiters will be able to know the accurate results and find the right profile for the candidate who matches his/her preferences, strengths and skills. It is through such testing process that the employers are able to find potential candidates who will fit the job profile perfectly and can be retained for a long time. Moreover, the candidate can be expected to do justice to the selection and also grow with the organization through positive efforts and contributions made. This way, the carefully selected candidate can flourish in his job. The aptitude test does act as guidance to the employers allowing them to identify the right candidate for the job. Although the selection may not be 100% accurate, however, still the choice is sure to be something worth the try and investment. It is for all the above reasons that aptitude testing is popularly being used by organizations of all types, all over the world.